Spot prawns are naturally reddish because of their diet naturally rich in the same carotinoids that give salmon its reddish color. 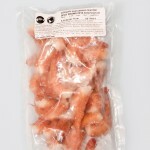 Otolith’s spot prawns are natural and pure; they have no additives or preservatives except a splash of sea salt water just before freezing that forms a protective barrier against freezer burn. 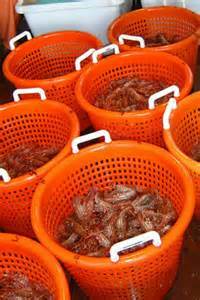 Once your prawns are thawed the brine or sea salt water will run off and not affect the taste or texture of the prawns safe in their shells. 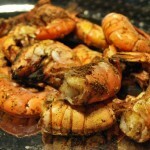 Prawns may be cooked peeled or unpeeled. 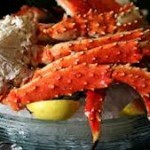 Cooking methods include grilling, broiling, baking, searing, sauteing and steaming. If you choose to peel off the shells before cooking, Otolith’s recommends that you use the flavorful shells to create a small batch of stock/broth for use in soup, rice, pasta or sautes. 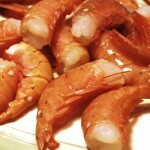 Raw prawns may be hard to peel at first due to their freshness. 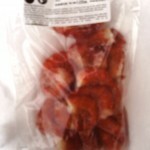 Once thawed, keep refrigerated for three days then they will be easier to peel raw. 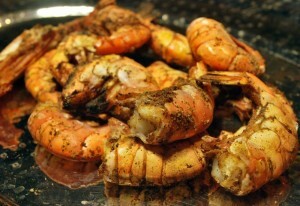 Cooked prawns are not difficult to peel. 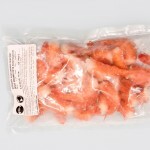 Otolith’s prawns and shrimp do not require deveining. 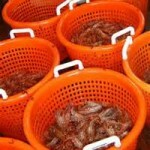 Prawn Shell Stock Directions: Using a small 4 cup saucepan, heat shells and 4 cups of water to a boil. Add additional flavors if desired. Boil for 8 minutes like pasta or until any additional ingredients are tender. Cover and remove from heat until thoroughly cooled. Strain cooled broth and freeze or use within one week if stored under refrigeration 40 degrees F or below. Please remember to label and date all stock to assure proper handling and identification later. 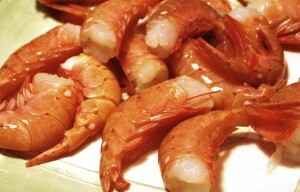 Shelling Prawns: Peel off the largest plates and and legs first. Continue removing shells and legs moving toward the tail. Stop peeling when you reach the tail. Grasp and pinch the tail firmly with one hand and with your other hand pull the prawn meat free from the tail to keep all of the tail meat intact. Roe may be cooked and eaten.